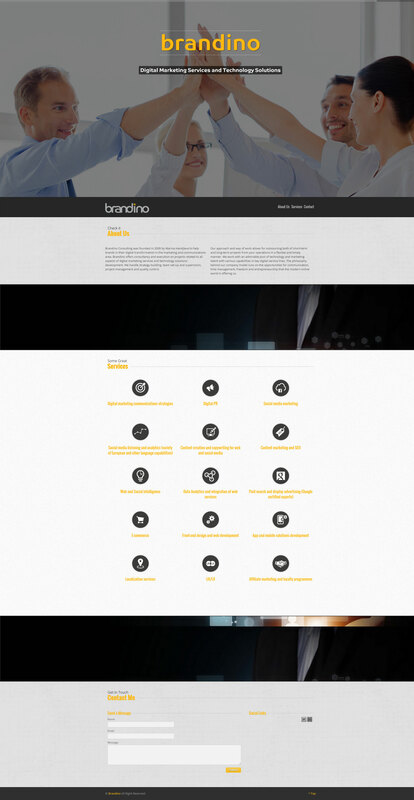 Development ‪of a landing page for Brandino Consulting. The company offers consultancy and execution on projects related to all aspects of digital marketing services and technology solutions’ development. Our goal was to provide simple and user-friendly site with a responsive design. The website has been built using WordPress platform and has an interactive and smooth navigation.